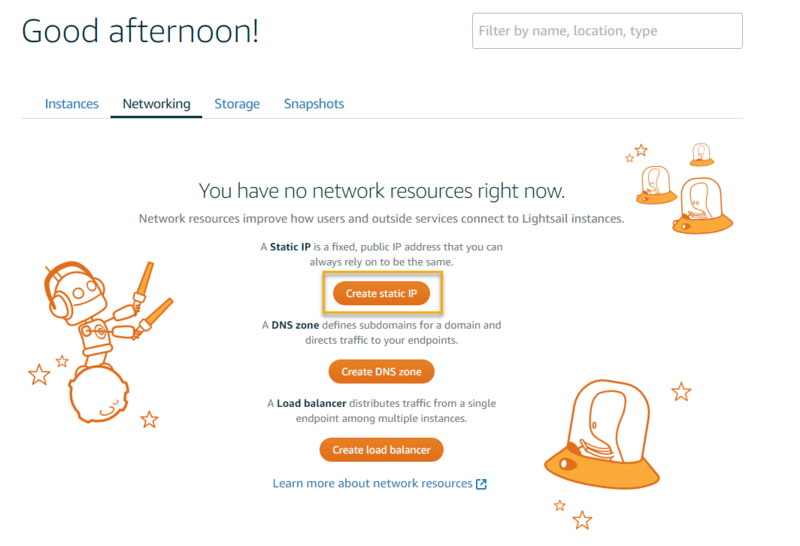 There are a few prerequisites to assigning a domain name to a Lightsail instance. You must have a domain name registered with a provider of your choice. Static IP assigned to your server. 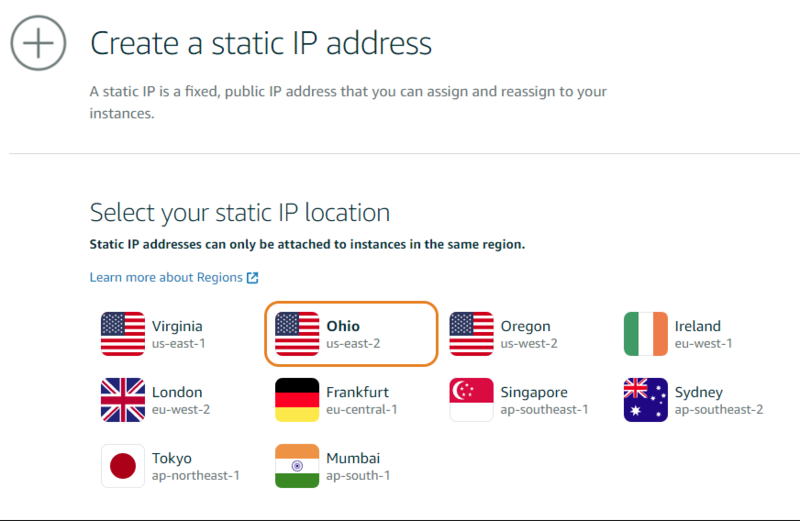 Select your static IP location. Note, you must already have an instance running in that region in order to attach a static IP to it. 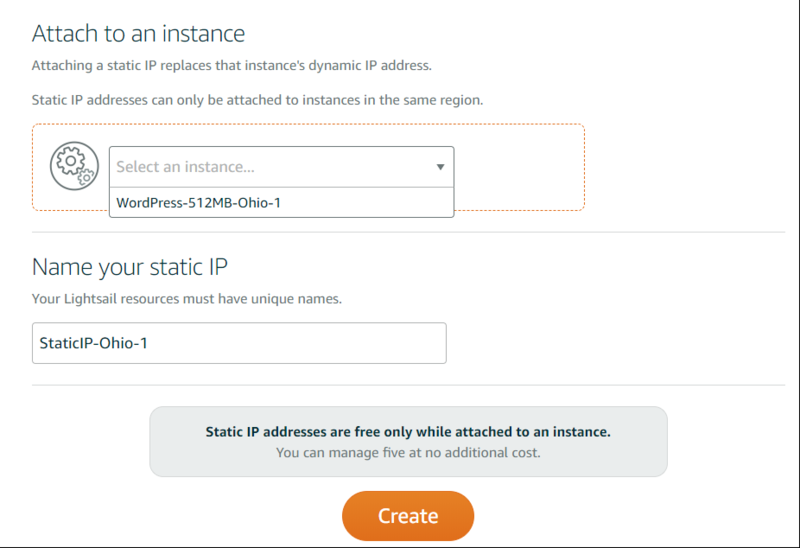 Select the instance that you’re assigning the static IP to from the drop down box. Give your static IP an unique, recognizable name. Click create. 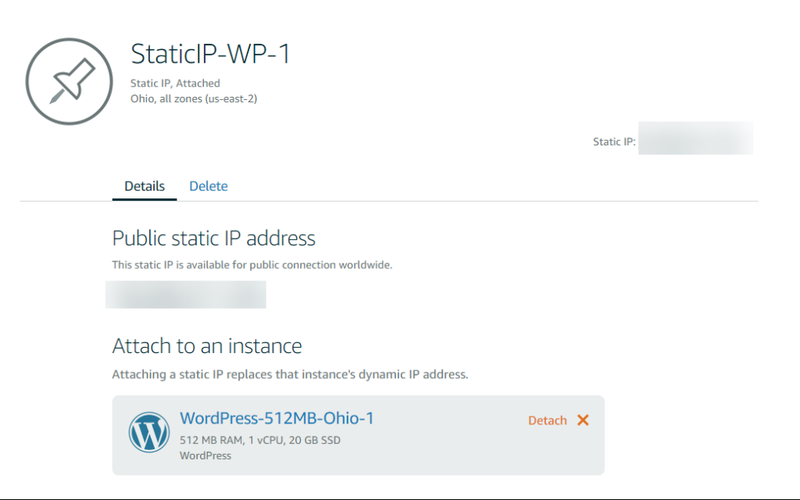 Once you’ve clicked create, your IP will have a pin next to it, noting that is it attached to the instance. 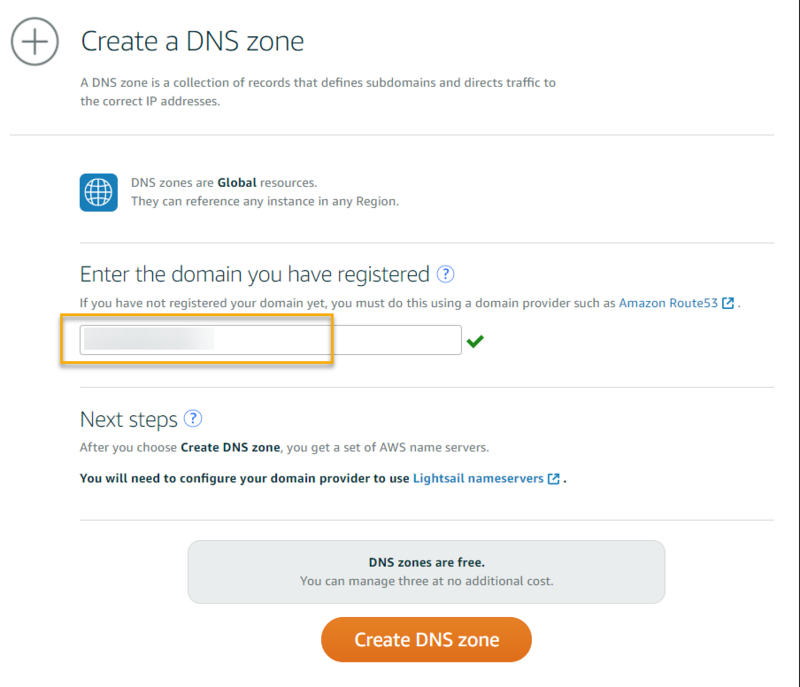 Enter your domain name and click Create DNS Zone. Make sure the Type is A. Click in the subdomain box and enter www.yourdomain.com . In the destination IP box, select your Static IP name and click save. You will be given a list of name servers to point your domain to. I’m using Hover and here is how I point my domain to my Lightsail server. 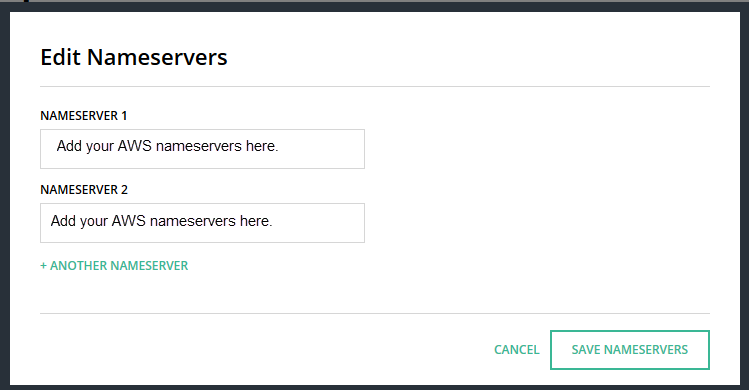 Log into your Hover account and on the overview tab, scroll down to nameservers and click edit. 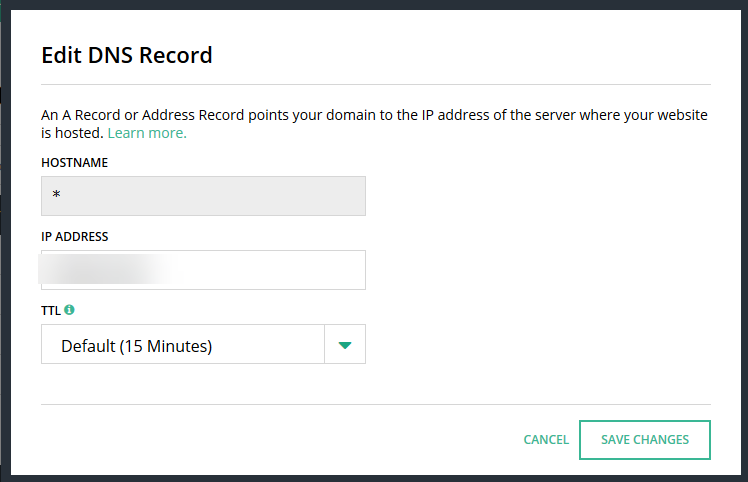 Enter the name servers give to you in the DNS records tab in your Lightsail console. You must add at least two. 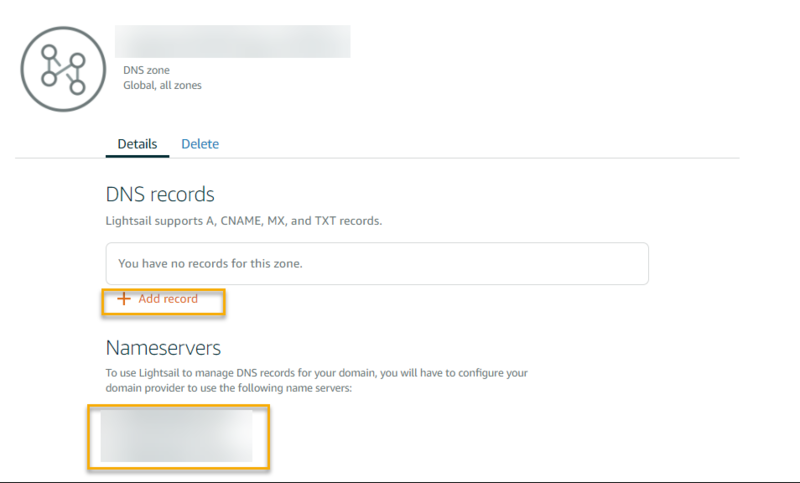 Add additional nameservers by clicking the plus sign. When you’re done. Click Save Nameservers. 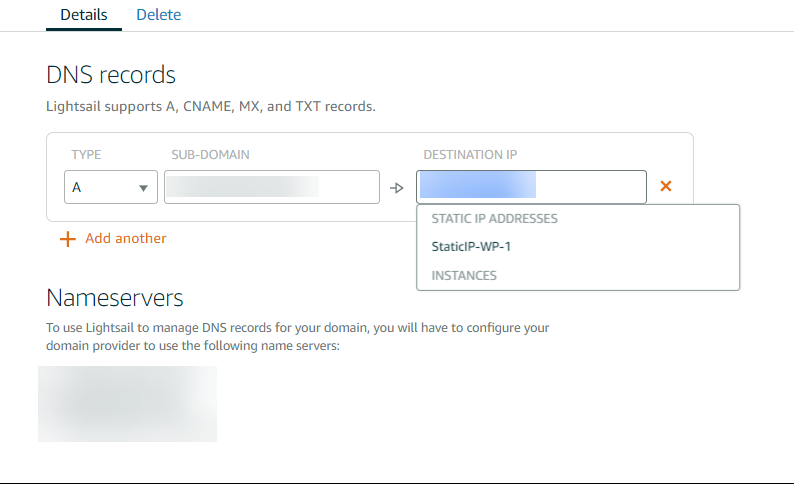 Click on the DNS tab and review your current DNS settings. 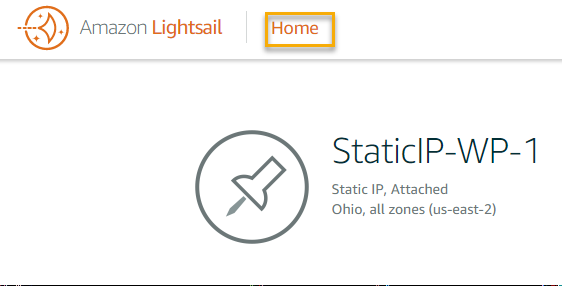 Click edit next to the A (*) record and enter the static IP or your Lightsail server. Click Save Changes and repeat for the A(@) record. Test your changes by entering your domain name into a browser to see if your website loads. If it doesn’t load immediately, be patient. It can take anywhere from 24-48 hours for DNS to propagate. 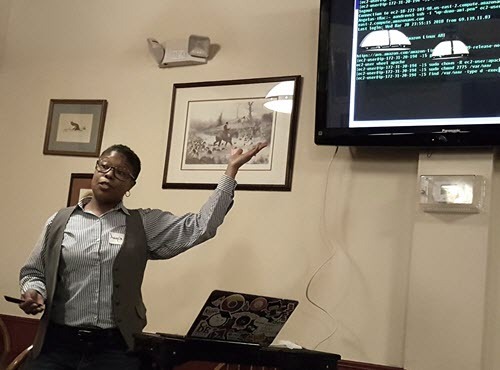 I was invited to Philly ‘burbs WordPress meetup to give a talk about how to install WP on AWS. I’d given this talk before in an impromptu setting, my dining room table, to my monthly coding group. It was more of a workshop, really hands on and at the end, everyone was a command-line hero in my book. Most, never having logged into a Linux server before, let alone deploying a server in the cloud. Liam, the group leader, saw a tweet about it and invited me to present it to his group. Here are the videos and the slide deck from the MeetUp. I was legit so happy learning how AWS works and how to get WP on it. Game changer for me!